It’s been a decade since Simple Super was introduced in 1st July 2007 and since then, we unanimously agree to have never ever seen such significant changes in superannuation!How will this impact you? What are the updates required as per the recent budget changes to superannuation? We’re going to try to address these questions in today’s blog post. Read on to find out the important aspects to consider under the current changes and why your accountant wants you to apply for these changes. If you’re thinking whether this change is for the better, then we’d want to break it to you early that you’re right! 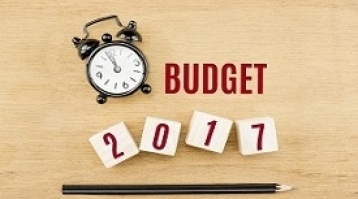 The 2017 budget changes to superannuation definitely covers up some major fail areas of the 2012 update. “Members who were the beneficiaries of the positive tax changed ten years ago, are the majority of people who will be impacted by the changes post 1 July 2017”, says Dr. Brett Davies of Legal Consolidated, in his post that outlines all the required changes and updates. In August 1999, when ‘Excluded Funds’ became ‘Self-Managed Super Funds’, the amendments tightened the in-house asset rules and set a 10-year grandfathering period. In September 2007 – ‘Simpler Super’, S67 (4A) was introduced which allowed borrowing as part of the installment warrants. 2017 – Is what we’re going to discuss in this post. We believe firmly that the 2017 Budget is for the better. A fat populace of Trustees haven’t updated their deeds since July 2007 and now would be a befitting time for a review of their deed. With due credit to Brett Davies of Legal Consolidated, for putting this together, we’re going to proceed to lay it out exactly like he’s done in his post. Calculate internal pension rollbacks to accumulation. These SMSF updates are all required to give maximum flexibility to your accountant and adviser. Now that’s a first right? It’s true nevertheless! With the current changes, almost all CAs and accounting firms are overloaded with the number of deeds that need updating. Are you stuck in a similar soup? Your first option is, you can roll-up your sleeves and get to work with all the updating, and while you’re at it, remember to spoon-feed all the accountants that work for you – we mean educate each and every one of them about what needs to be updated and what scrutiny is required on each client’s holdings. Already sounds ominous doesn’t it? Imagine having to review their output at the end of it all.